FF200 is compact, powerful and easy to use. It is small enough to fit in a trunk, suitcase, briefcase, glove compartment, kitchen drawer or tool box. You can place it anywhere. It is specially designed small and light with a durable solid belt clip that makes carrying easy by attaching it on a belt or safety belt. It is suitable for policemen, bodyguards, securities, firemen, and the people in industrial fields like welders for example. FF200 is in use by The National Police Agency of Korea for its brilliant usability, portability and extinguishing ability. Yes. We can produce various sizes of aerosol products. Basically, there are 250g, 300g and 400g(based on capacity). Requests on sizes can be met through a discussion. Any potential explosion of containers? Yes, It is possible. 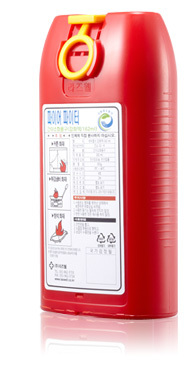 If the extinguishing agent is remained after the use, it can be used again. 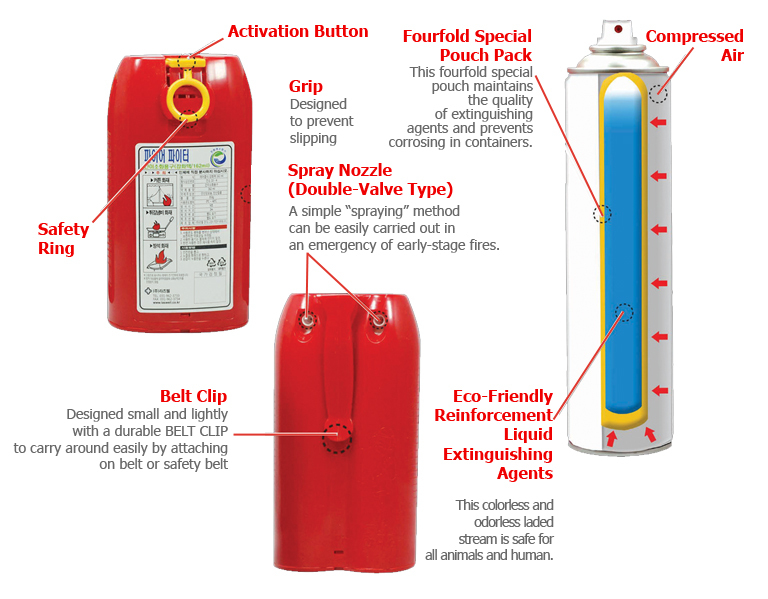 How is it different from other fire extinguishers?